Being Captain Vijayakanth’s son is not going to help Shanmuga Pandian but the actor seemed to have found the Kollywood success formula. The path to success in any industry lies on hard work and brilliant planning. With just minutes since the Madura Veeran teaser got launched, it has received rave reviews and amazing support from the audience. Shanmuga Pandian looks able as a village lad and his presence in the movie is duly supported by veteran actors like Samuthirakani, Mime Gopi and Vela Ramamoorthy. 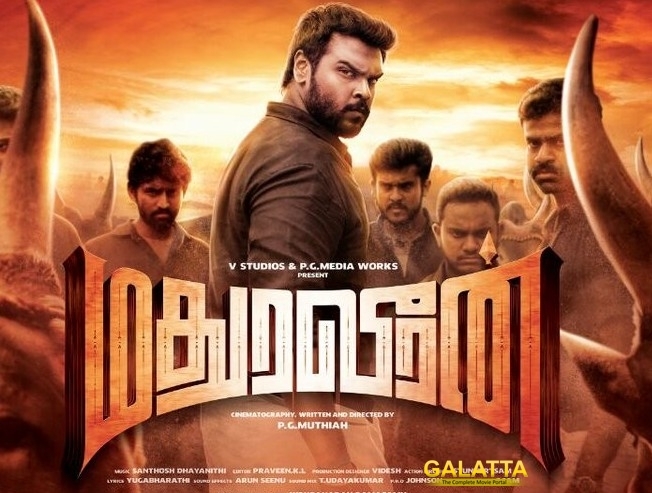 Madura Veeran teaser looks like it heavily relies on the direction by PG Muthiah and the powerful performance by other actors while Shanmuga Pandian takes backstage. For a newcomer, this is the best way to go about it until he can find place as a prominent hero. A promising entry from Captain’s family and a movie based on Jallikattu - the formula for success has been brewed!